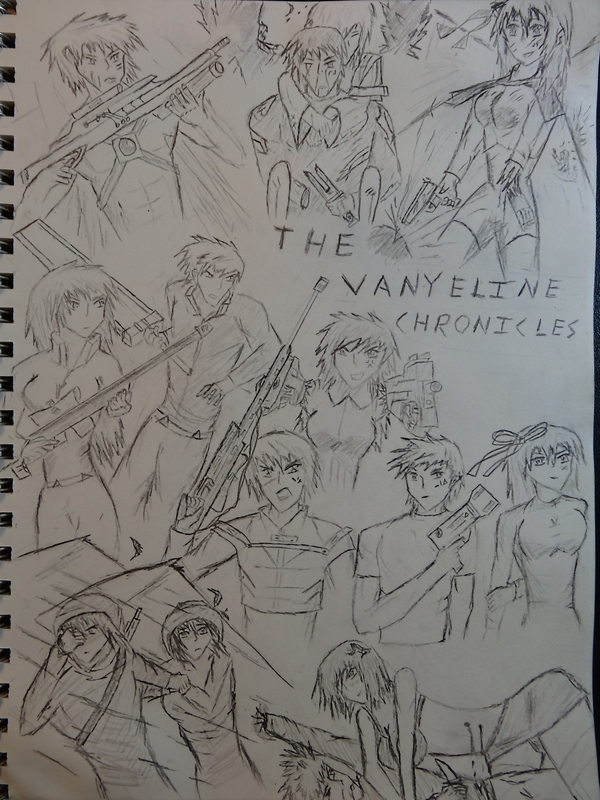 VayneLine Chronicles is a collection of eight stories. Each of the stories are completely separate but together they paint an overarching expansion to the universe. Chronologically most of them take place near the time line before the start of VayneLine. The two major exceptions to this is AilAid and Rexrin Protocol, AilAid takes place about one generation before, and Rexrin Protocol takes place a couple of generations before. Each link goes to the story’s page that has a summary of the theme, character list, and a synopsis of what occurred in the story. The synopsis is marked by spoilers as it at the end to help avoid ruining any surprises. Inadvertently there is a pattern to the stories, especially as viewed with the cover art. The books on the left, which is the 1st,4th and 7th (Slipdrift, Eu-Knight, Mirrored Sky) deal far more with environmental survival and are mostly about the characters enduring the desolation they find themselves in. The middle row, 2,5,8 (Project: AKRA, FrayLash, and RexRin Protocol) are more ‘action’ stories of characters battling characters and have much more fast paced combat scenes that occur more often. The last ones 3,6 and if there was a 9th (AilAid and Proud Infinity) focus much more on conceptual ideas, and the characters battling against esoteric conceptions.